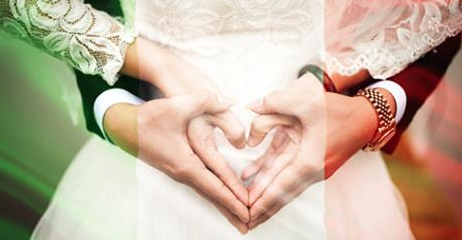 Serena Colavita, Italian Style Event&Wedding in Bloved, a South African web magazine. Serena Colavita, an internationally sought after event and wedding planner, understands the importance of paying attention to detail. As the Founder of the Italy-based event and wedding planning agency, Italian Style Event & Wedding, Serena dedicates herself to customising, planning and executing all events around her client’s needs and has applied this unique approach to creating lasting memories. With over 20 years experience in event and wedding planning, Serena has organised both private and business events alike. Before this, she worked as the Communication and Event Manager of an International Fashion Show based in Milan, collaborating with esteemed entertainers, musicians, artists, and journalists. She had the pleasure of working with Peter Langner; world renowned couture designer and Hanri Human; South African photographer, on a recent wedding shoot – an experience she describes as humbling. As a natural planner with a keen eye for detail, Serena believes in the importance of selecting an exquisite venue and hints at the fact that Italy is filled with the best locations. She marveled over Bel Paese which offers a unique heritage landscape, history, charm and filled with famous cities of art, lakes, sea, the picturesque countryside and good food and wine – important elements of an unforgettable event. Antico Borgo Della Madonnina, an ancient Villa from 700 that’s open all year round, situated near a wonderful park, secular trees, a swimming pool, and surrounded by the mountains of Lake Como is the ideal wedding venue! Madonna di Barni, an Italian rustic–shabby–chic venue with a stunning overview of Lake Como, is surrounded by a large meadow where horses and cattle graze. The venue’s restaurant, located on a mountain terrace 1000 meters above sea level offers an authentic Italian dining experience. We love traveling and exploring the world, I would like to visit South Africa to experience its cultural heritage and of course, attend a traditional wedding.